Our latest Featured Speaker is Kelly O’Keefe from Stearns Weaver! We are excited to have Kelly speak for us at our upcoming Probate Litigation 101: The Nuts and Bolts seminar in Fort Lauderdale on April 13, 2018! Kelly brings with her a wealth of knowledge, and we know our attendees will benefit greatly from the information she’ll share. Kelly is AV rated by Martindale-Hubbell and represents persons and entities involved in business disputes and trust and estate matters. She has represented both trustees in defending and beneficiaries in pursuing various breach of fiduciary duty claims, including challenges to investment management decisions, challenges to discretionary decisions, claims of self-dealing and conflict of interest, removal claims and claims for accounting. 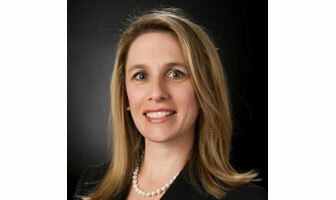 Kelly has litigated over the scope of creditor protection that certain trusts afford beneficiaries and she has experience in often emotionally-charged will contests and will construction matters, including determination of heirs, undue influence and lack of capacity matters. A large portion of her practice involves litigating real estate matters, including commercial foreclosures, which involve guaranty, deficiency, lender liability and fraudulent transfer issues. In addition, she arbitrated one of the first cases against Bear Sterns, challenging its process for valuing collateralized mortgage obligations. She also litigates condominium and community association disputes, commercial landlord/tenant disputes, real estate purchase-related disputes, and disputes among business partners. Kelly has also served as counsel to an array of Florida businesses, appearing before the Florida Division of Administrative Hearings to challenge government decisions, including licensure and permitting decisions, as well as the award of state contracts. She has experience handling these matters in Florida’s probate, civil and federal courts at the trial level, and throughout appellate review. When cases require creative solutions that cannot be achieved in court Kelly has experience handling the matters via negotiation, mediation, arbitration, and the legislative process.